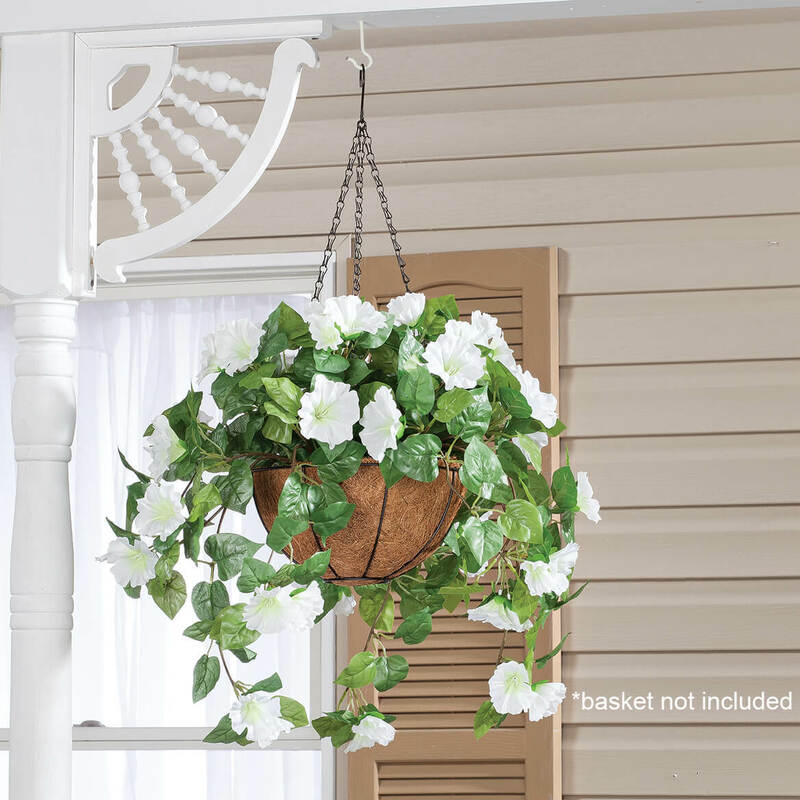 Add 2 Hanging Stems to Cart, Get $1 Off each! 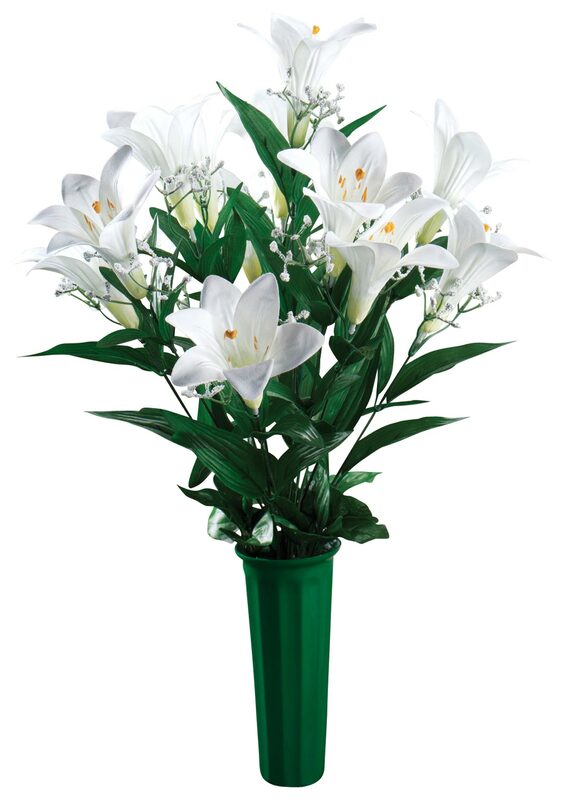 Use these for bright, sunny location that is impossible to use live plants. 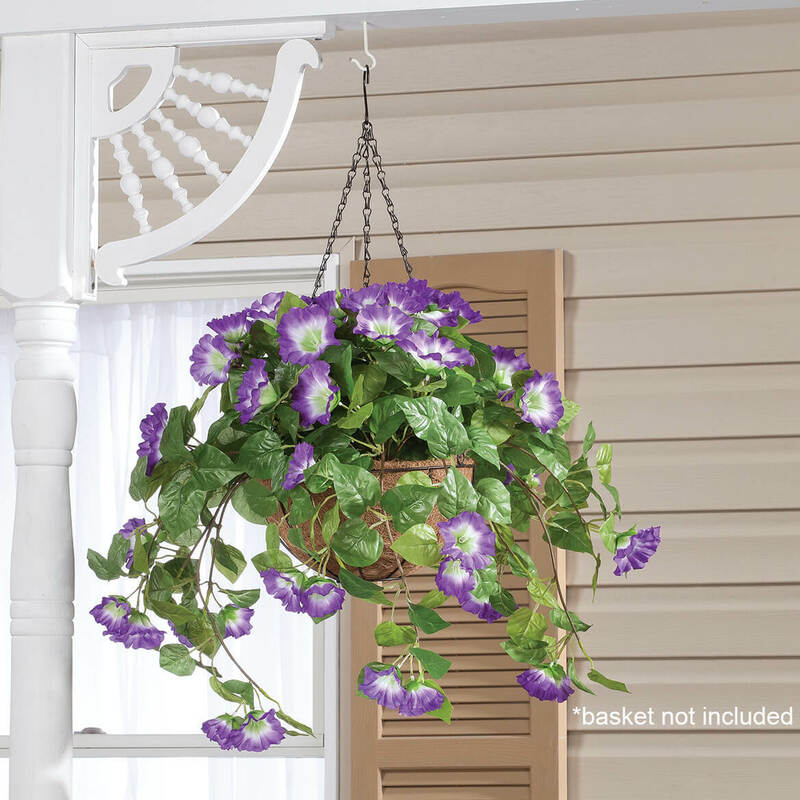 With a couple of colors, they look nice for hanging planters. Have gotten them here i the past & it is the only place I can find them. Love the purple/white colors. Bright and cheery. 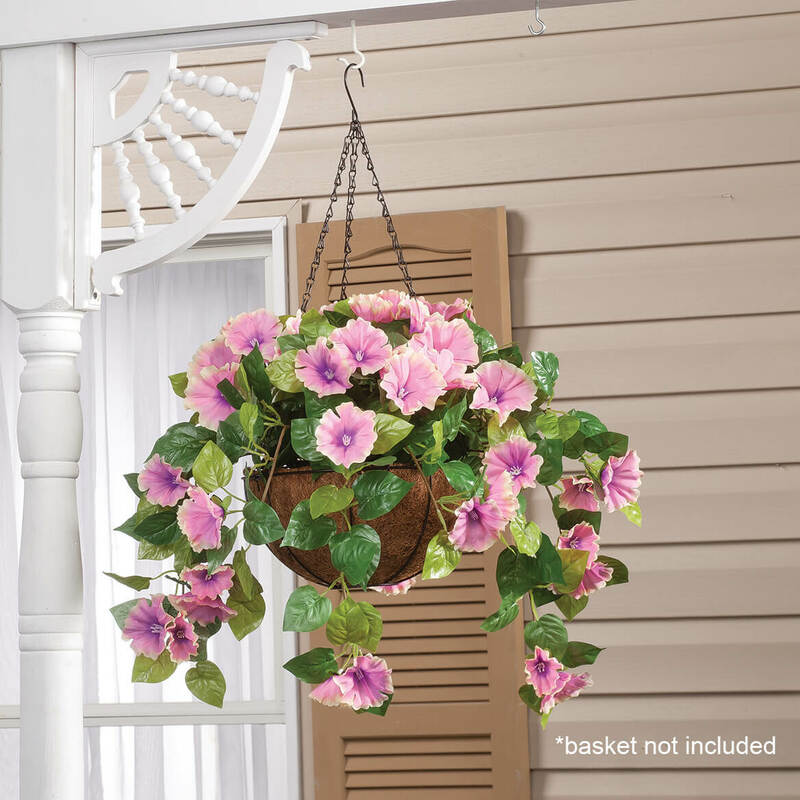 Ordered three hanging stems to fill a container I already have. 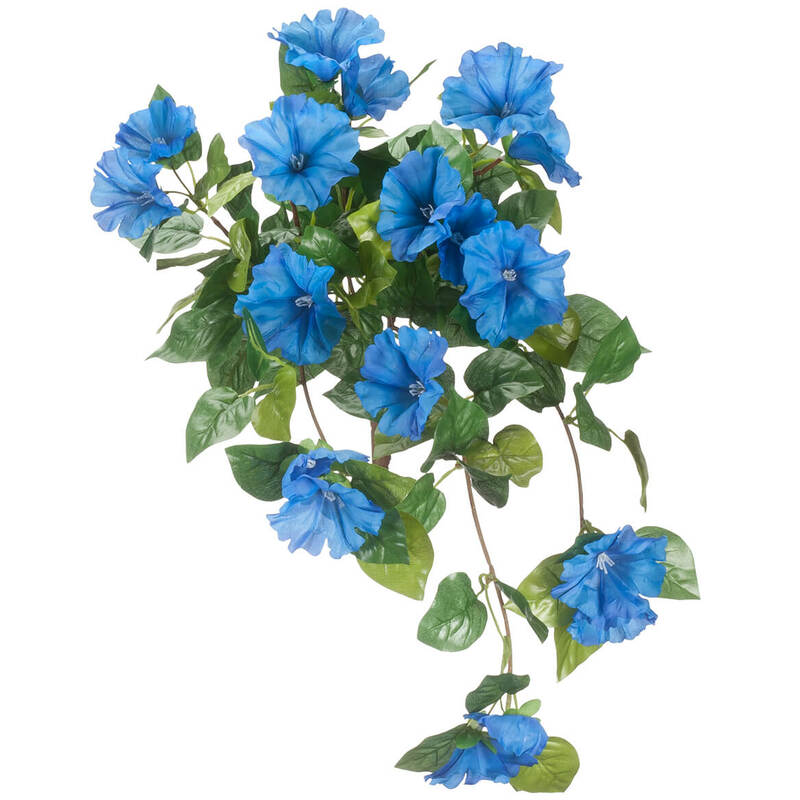 Also ordered a single petunia bush to put in the middle of the arrangement. 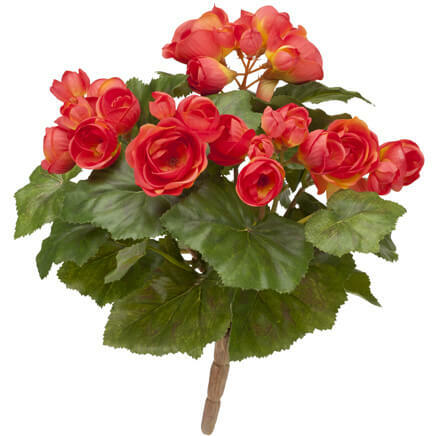 They look very real and I am tired of watering the real ones I buy every year. Money saved in the long run! 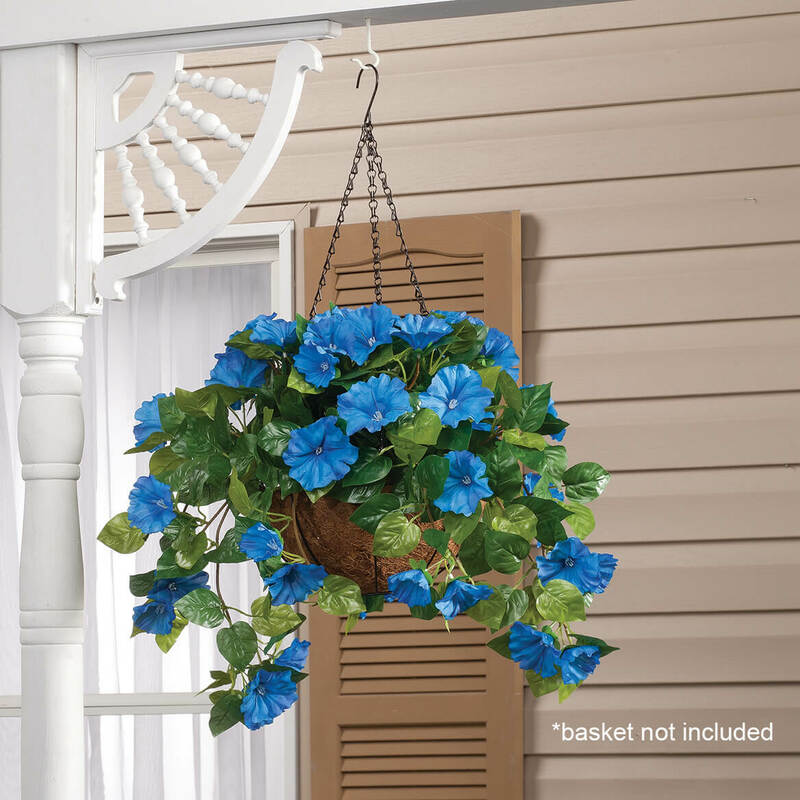 These will be placed in an area on front porch where live plants will not grow. An addition to assembled pots. 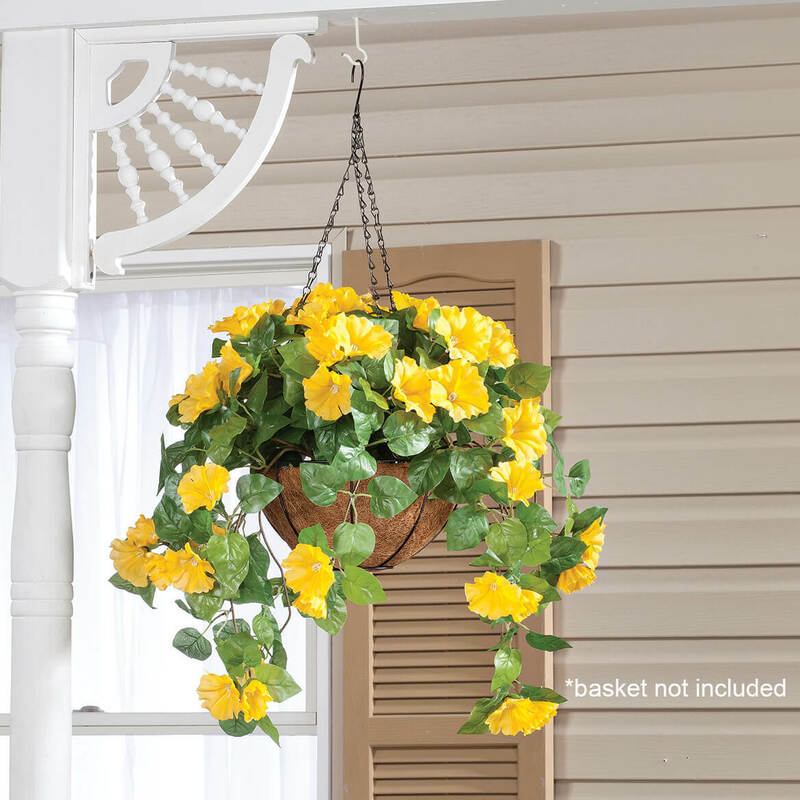 around the porch, and I think the yellow petunias will look beautiful there. I have gotten before and used at the Grave site and I need to get fresher ones. These look very real. You need more than one bunch for real fullness, but they look lovely hanging from my lamp post. I purchased the white square planters and these flowers are going inside them. Can;t wait to get them. Needed 2 more for my basket. Going artificial this year instead of real. My son has these and they do look real! 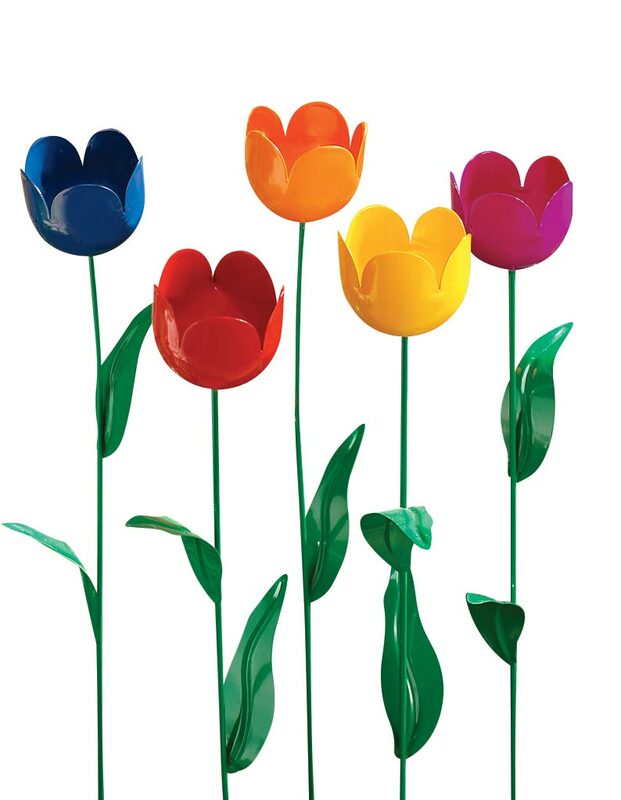 I chose these artificial flowers because water is getting more and more expensive and I know if I place them artfully they will look real from a distance, not die, not cause high water bills and make our condo pretty on the outside. My wife liked this and wanted it. How many stems would I need for a 10. Inch basket? 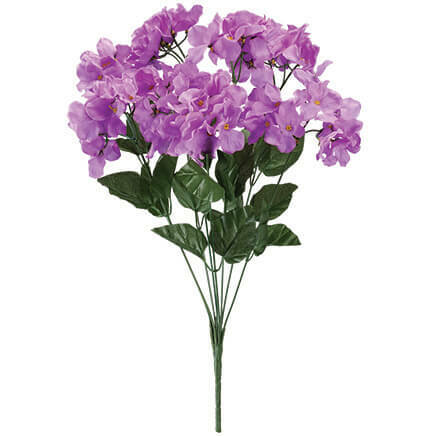 BEST ANSWER: I used five stems AND IT LOOKS VERY GOOD. I GOT THE PURPLE. 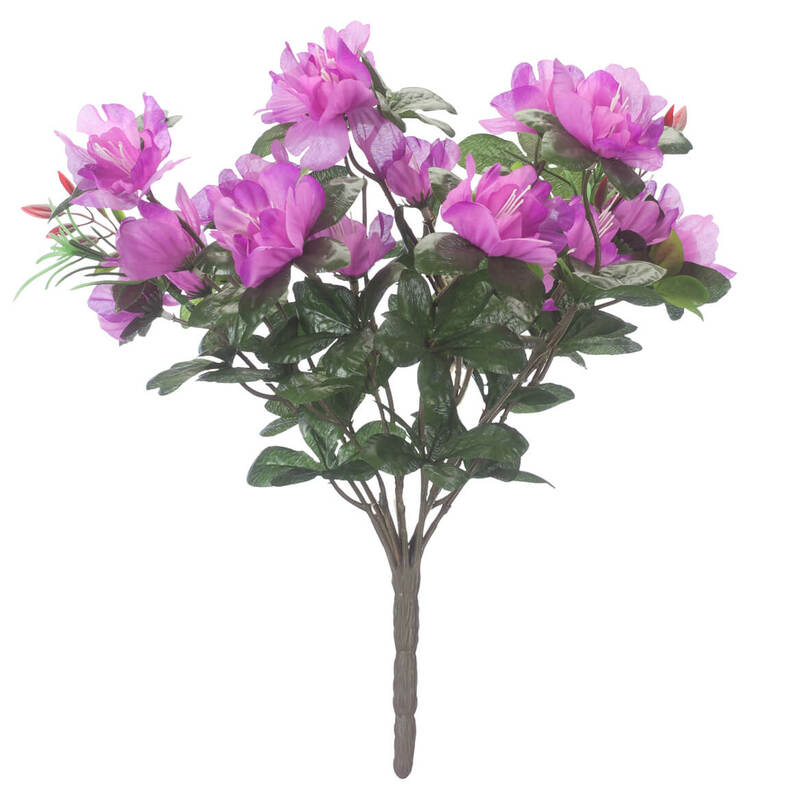 Our azalea bush boasts a glorious color and evergreen foliage, and makes a big impact in containers or garden. Polyester, plastic, wire. We’ve shown 2 bushes per pot; pots sold separately. 17" high.